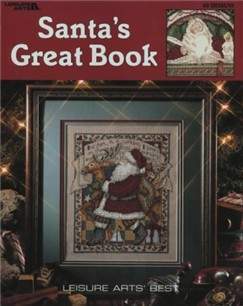 This book contains 40 stunning, heirloom quality Santa patterns, from the best that Leisure Arts has to offer. 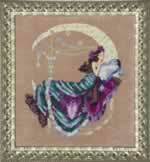 Full color photographs and color charts. Soft cover book has 144 pages of pictures, charts and ideas. 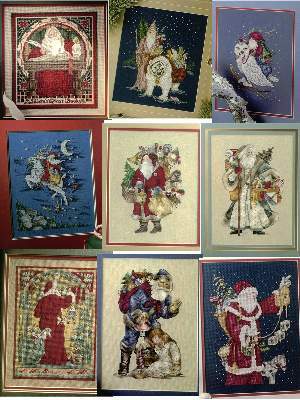 Ideal for the santa collector, or those among us who just love stitching Christmas pictures! We do have the supplies needed for all of the designs, but 40 is simply too many to list out here. 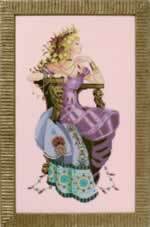 Click here for more pictures. Book only.